Most of us suffer from stress and anxiety, but to what extent is too much? Stress develops from a numerous amount of factors in which we can not always point out. Anything that puts a high demand on us can be stressful; whether that be school, work, relationships, or just figuring out how to balance it all out. Here I will show you how to diminish the amount of stress and anxiety in your life. When you feel like you have been consumed into negative thoughts, that is when you should take action and try to lower your levels of stress and anxiety. Start off by identifying the things that are causing you to worry. For example, school puts a tremendous amount of stress on people and when you begin to feel overwhelmed, write it out. Write everything that you would like to accomplish by the end of the week in order to give yourself a visual representation of what your week consists of. This helps because you don’t have to keep repeating your responsibilities in your head and worrying that you might have forgotten something. This is also gives you the satisfaction of being able to cross something off of your list. Another way to holistically deal with stress and anxiety is to do yoga. Yoga does great things for your body. Not only does it help you relax, but it puts your mind in tune with your feelings and emotions and allows you to handle it in a relaxed state of mind. Many medications that people take for anxiety and/or depression tend to mask their emotions as if they did not exist, but it is important to be aware of these emotions and make your mind stronger by dealing with them. Of course, this can be hard and with high levels of anxiety you may feel like there is no other option but to result to medications. When your anxious, your mind begins to wander off to things that might happen and can lead to other issues. Madhav Goyal, MD, lead author and assistant professor of medicine says that, “Meditation teaches people certain skills that can help counteract that tendency, like staying in the moment, recognizing worried thoughts when they’re happening, and preventing them from getting worse.” If you are serious about dealing with your anxiety, then go to the next yoga class and focus on staying in tune with your mind because the more you deal with your thoughts, the easier it will become to get rid of them. Exercise in general can help you to get your mind off of those negative thoughts and lower your stress hormones. There are several supplements nowadays that help to reduce levels of stress and anxiety. Personally, I have tried several in order to minimize stress especially when I have exams coming up or I know that I have a lot to accomplish during the week. Ashwaganda: Ashwaganda is a powerful herb used in Ayurvedic healing. It is categorized as an “adaptogen” which means it helps your body manage stress. It helps to reduce cortisol levels, which is your body’s natural stress hormone. Lemon Balm: Lemon balm comes from the mint family and has calming effects which are said to ease anxiety. There are several other supplements out on the market to reduce stress in anxiety, but these are some common ones that have personally helped me. Overall, stress and anxiety are things that people suffer with whether they want to or not. It’s all a matter of how we decide to deal with it. Natural remedies are always better for your body and mind because they help you to become engaged in the process of relieving these issues. You become aware of the process and learn to manage it more efficiently. I give all of these methods of dealing with stress and anxiety from personal experience. These things have worked best for me, but their are endless possibilities to minimizing these issues. Hi, Ally, I love your blog! I can only imagine that with school and everything else, that it’s hard to find time to write new posts about nutrition, health, diet, and so on. I hope you can find a way to schedule blogging/vlogging into your life. So… here’s my challenge for you… in the next 2 weeks, Fall semester will be wrapped up. Then you’ll get over a month off before Spring semester starts. Why not commit to posting a blog or vlog (or both! 🙂 once a week for the 4 weeks of Winter break? I know there’s family & holidays and other things, but you could make your career a priority and give it a day a week, right? Then… once Spring semester starts, once a week would still be awesome but may be hard with your schedule. But what about a commitment to once a month? You can do that, right? That’d add up to 15 posts in 1 year and a really nice starting portfolio for you. I like your narrative of wanting to know more about family health issues and diving into nutrition and health. It’s an area that many people are interested in. Definitely look up other nutrition/health bloggers/vloggers and see what they’re posting and why you think this one is effective or that one is less effective. Be sure to have at least 1 photo with every blog you post. Nobody reads them otherwise. If possible, don’t use any stock photos. Shoot your own. Don’t be afraid to use your phone if that’s what you’ve got. And don’t be afraid to feature yourself in your images, it can add authenticity. When you make a post, “Syndicate” it to Facebook, Twitter, LinkedIn, etc. You can set up WordPress to do this automatically. Or you can do it manually and make it a bit more custom for your followers on each platform. Remember too, that the same “content” can be a vlog and a blog. I’m sure you know that Google is the world’s biggest search engine. The 2nd biggest is not Yahoo or Bing, it’s YouTube. So when you blog/vlog content you access 2 potential audiences for your work. You can do a vlog, and then post the transcript as a vlog. Best wishes, Ally! If you ever have questions I can help with, message me! Thank you so much Glenn for taking your time to read and comment on my post! I really appreciate it. I will most definitely take your advice/challenge in posting more. 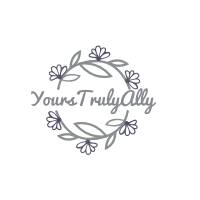 I do also have an instagram account @yours_truly_ally where I am a bit more active with my posting, but mostly recipes! Again thank you so much..